I'm not sure where I got this, but I thought I'd share it with everyone. I've had it forever! 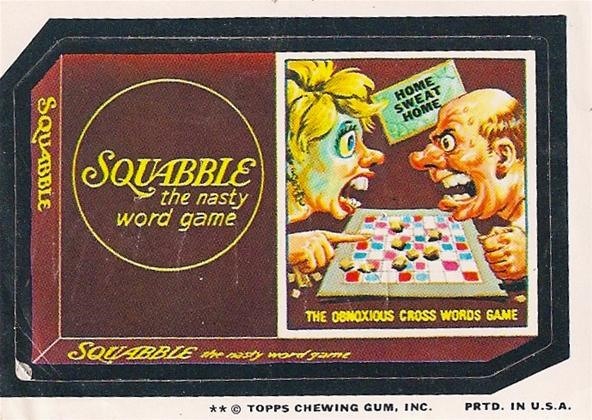 Sometimes, a game of Scrabble actually feels like this. Toy Challenge: Shall We Play A Game? Ah... wait. I just did a little research on the web, and it seems this sticker is party of the Wacky Packages series from Topps. This particular one is from the 9th original series in 1974.